After a disastrous performance in 1st ODI, Indian team is all geared up for some uplift in their performance now. Watch India vs West Indies 2nd ODI live streaming online with Star Sports website. Also catch live telecast on Star Sports TV network in India with live Hindi and English commentary. Surprisingly the tourists West Indies outplayed number one ODI team in all departments. It was more than a comprehensive win for the West Indies team. They would love to continue from hereon with more wins. That raises more concerns for the Indian team. It was assumed that West Indies team would suffer in absence of Gayle and Narine. But there hasn't been any signs of setback in the team. The team heavily depends now on skipper Bravo, Samuels, Pollard and many more to name. And they have delivered well in the first ODI. India is eager to level the series at the Feroz Shah Kotla stadium. The pitch faced a lot of criticism lately but now things seem to be settled. After a humiliating defeat in the first ODI at Kochi, what would be going through Dhoni's mind? He supported his bowlers but let us agree to the fact that they heavily leaked runs. The pacers clinched wickets but they bowled too many loose balls. Spinners failed completely with leaking loads of runs. Its time for them to pull up their socks. In terms of batting, Rayudu is yet to fire with all guns. Kohli has now seen a too long patch of bad form. 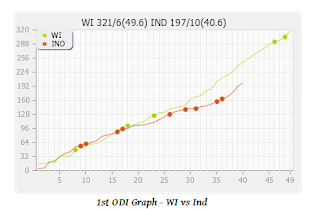 Dhawan scored well but he never looked the blaster we knew. Raina failed while Dhoni couldn't drag it for too long. 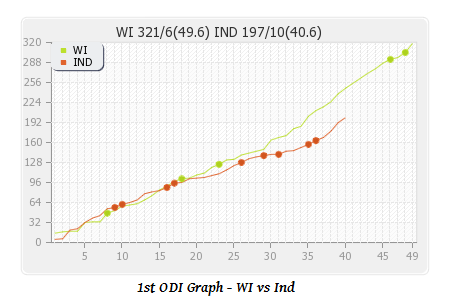 Rahane needs to score quickly if he has to open the innings. A lot relies on the batting form of all these stars not only for this series but for the ICC World Cup 2015 preparations. Will Dhoni include Kuldeep Yadav remains a question? Meanwhile Ishant Sharma has been called back for the rest of this series. This might add some confidence into the bowling line up. Let us wait and watch what unfolds in the second ODI.